Immerse yourself in the cultural adventures and natural surroundings that these uplands have to offer. With Ubud as the cultural center of Bali, it’s no surprise that it remains one of the top destinations for travelers looking for an authentic immersion into its sacred uplands. 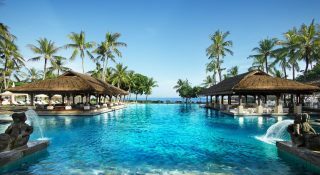 As such, the recent announcement of Capella Ubud and its promise to introduce guests to the traditional Balinese way of life, is right on trend. 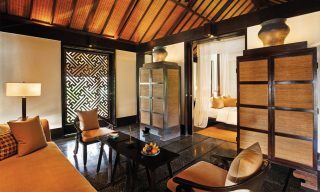 Nestled between Ubud’s rain forest, rice paddy fields, and the sacred Wos River, the luxurious tented camp brings the wonders of Bali’s exotic past to life. Inspired by the early European settlers from the 1800s, celebrated architect Bill Bensley had conceptualized this ultra-luxurious tented camp as a tribute to their spirit of adventure—he had famously designed the swanky Four Seasons tented camp in Chiang Rai. Guests can expect 22 ultra-luxurious one-bedroom tented retreats and a two-bedroom lodge, each featuring a private salt water jacuzzi pool. 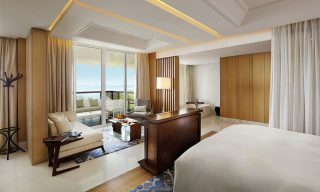 These spaces allow them to enjoy the essence of Bali’s untouched natural surroundings in personalized comfort. Other highlights include outdoor bathrooms, spacious lounges, and outdoor decks, which offer the perfect setting for an intimate candlelit dinner. Modern conveniences, such as air-conditioning, Wi-Fi, complimentary smart phone inclusive of data, a refreshment trunk, and an Illy espresso machine, are also available at one’s fingertips. Needs during the stay will be fulfilled by gracious Personal Assistants, who will also be happy to help curate interesting, bespoke activities. The camp offers signature experiences that span nature, wellness, and adventure. Guests can enjoy culinary journeys through the working farms of Keliki Village as well as the resort’s very own honey farms, coffee, tea and cocoa plantations. Cultural experiences to be had include sacred temple rituals at the Wos River with the Keliki villagers, while wellness experiences feature medicinal culinary healing, spiritual and sound healing. 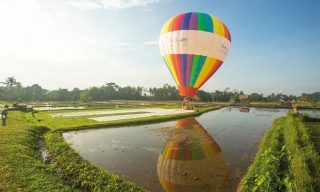 Those feeling adventurous can embark on jungle boot camps, mountain bike ridge tours, as well as high and low impact work outs in the rice paddies. Back at Capella Ubud, guests can enjoy camp facilities including The Auriga Spa health and wellness retreat; The Cistern outdoor rainforest pool; The Armory tented gymnasium; The Camp Fire, Mads Lange dining room; Api Jiwa Asian street food barbecue; A Mortar and Pestle Pool Bar; The Officer’s Tent living room, and the Wos River Deck. To wind down from an activity-filled day, head to the culinary tent, which offers two inventive restaurants and other gourmet journeys. As the sun sets, adjourn to The Camp Fire for a dining adventure that features a local storyteller. Mark your calendar as the highly-anticipated camp is set to open in early 2018, with rates starting from US$838 per room.